On Saturday we did something very rare in our book – we actually blocked out a Saturday in July not to shoot a wedding. 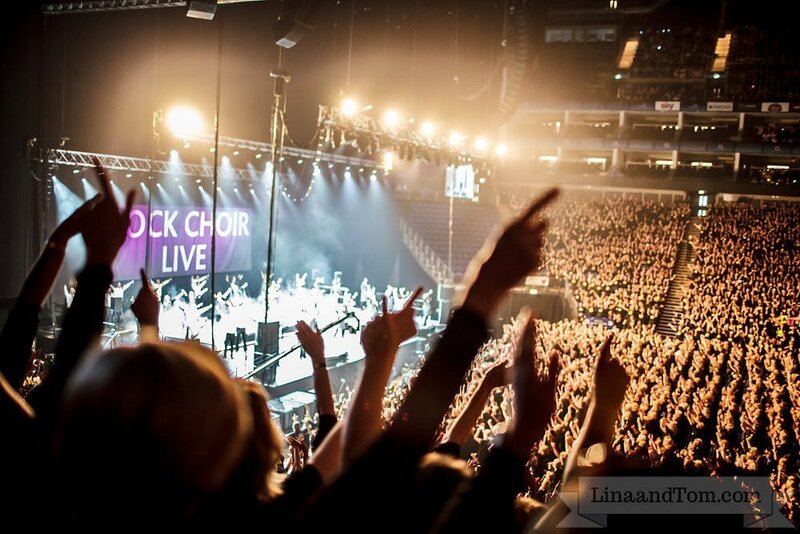 This is never a decision we make lightly as we love our work so much, but when I got the opportunity to sing at the O2, I couldn’t pass it up! For the last two years I’ve been a member of Cambridge Rock Choir led by the superb Carrie Rawlings. 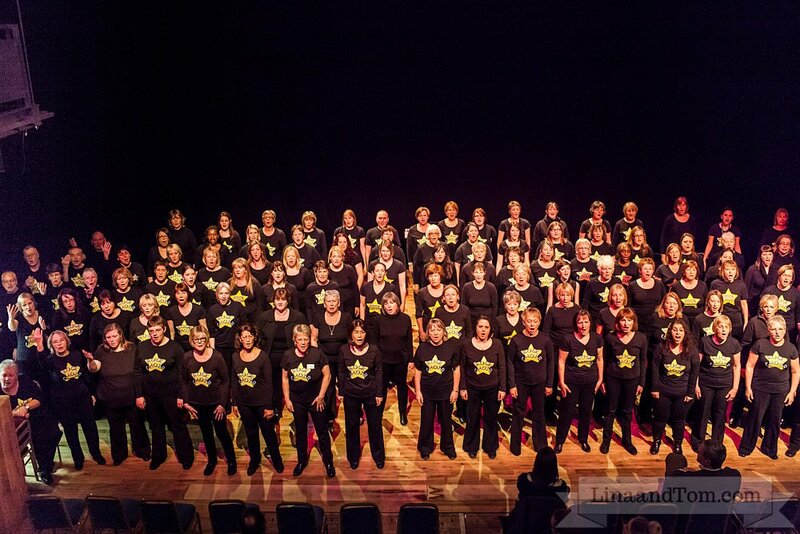 When I first heard about Rock Choir a few years ago from the ITV documentary, I’d been searching for a choir ever since I moved to Cambridge in 2008. There are lots of choirs in Cambridge, but many are, well, quite serious, and although I had been classically and contemporary trained in my youth, as well as doing my stint in amateur musicals, what I wanted was a community choir where I could turn up, belt out a few songs and get that endorphin rush for pleasure. I was gutted to see that there was no Rock Choir here – there was even one in my old home town of Dunstable! 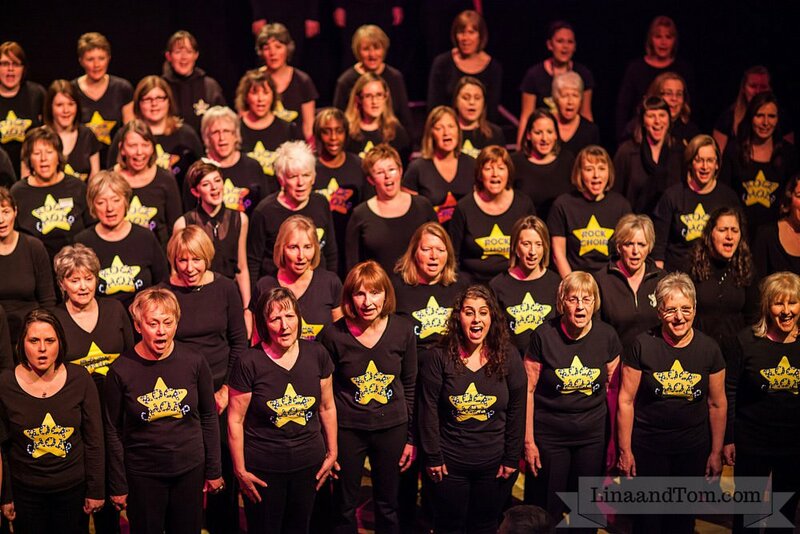 Thankfully, barely a few months later, I saw an ad in the paper announcing some introductory workshops for a new Rock Choir in Cambridge – yay! I went to the workshop and instantly warmed to our leader-to-be Carrie Rawlings, she was full of energy and went at a good pace. Importantly, she had talent! There is always a danger you’d end up with a ‘couldn’t make it in the industry’ type – this may sound harsh but I used to work in a musical theatre agency so have met them all! – yet Carrie has a cracking voice and still works professionally on stage alongside Rock Choir. Fairly soon in the workshop I felt my singing voice leap back into action after laying dormant for very many years. I signed up, and am happy to be starting ‘year 3’ with Carrie and all my lovely choir friends (including my best bud Aimee!) in September.